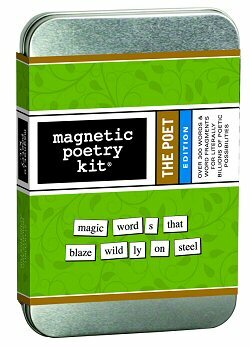 Over 300 magnetized words perfectly suited for creating lush and evocative lines of poetry. 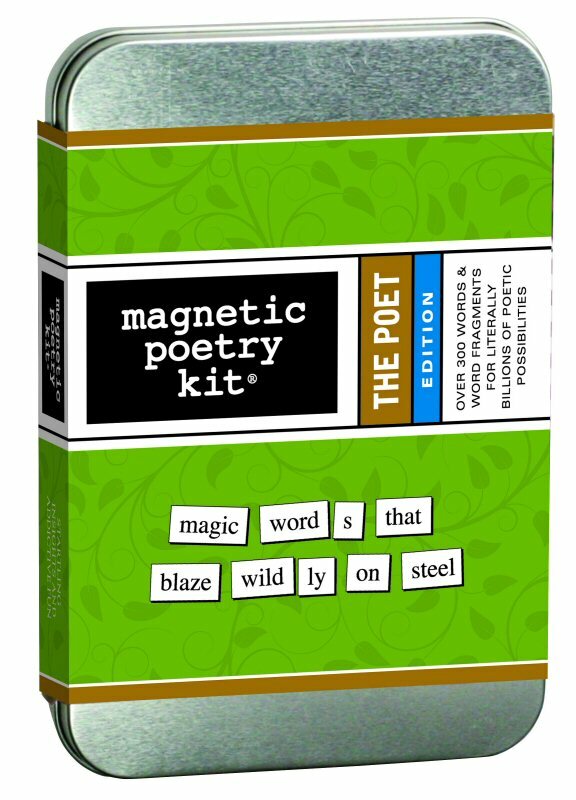 This magnetic muse is guaranteed to spark the imagination and usher you into all kinds of unexplored poetic realms! Fun for native speakers and language learners alike. Tile height is 1cm. Package size is 15cm (L) x 12cm (W) x 3cm (H).